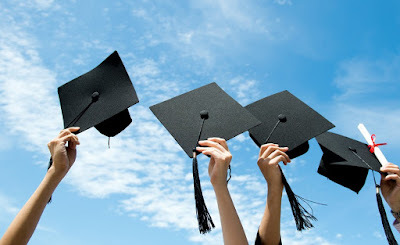 Brock CareerZone Blog: Once a Badger, Always a Badger: Congratulations Graduates! Once a Badger, Always a Badger: Congratulations Graduates! It’s that time of year again where a brand new group of Badgers move on to their next chapter. This could mean going to work, diving right into post-graduate studies, or taking time to travel and explore the world outside of academia. Whatever you have in mind, we want to help! Make use of CareerZone’s online resource Centre to have access to workshops, job postings, career events and more! To activate your alumni account, head to my.brocku.ca, look under “Activate your account” then select “Applicant, New, Returning Student or Alumni”. One of our most popular services, be sure to drop in for an on-the-spot resume or cover letter review, no appointment necessary! Bring in a printed version of your documents and we’ll provide you with feedback, templates, and writing strategies to help you keep your application up-to-date. If you’re unable to come in, email us at career@brocku.ca for an online review! Now that you are likely searching for employment-especially within your field- we want to make sure that you are able to impress employers! From templates, online resources, to even scheduling mock interviews, we will make sure that you feel best prepared to walk into your next interview. Want help figuring out the best ways to search for jobs in your field? We’ve got plenty of resources and expertise in that area! This would be a great time to print off your Experience Plus transcript! You can include it in your application to graduate studies, or even jobs! You can track your experience on your my.brocku.ca. Contact the Experience Plus Assistant at expplus@brocku.ca for more details. After completing graduation, it is our duty to looking for a career opportunity, so that we can easily develop our career goals. Career developing is a serious issue and we definitely need some effective way to improve our career. Here from this article, we can get some quick overview on how to develop our career after graduation. Thanks for highlighting such important issues.